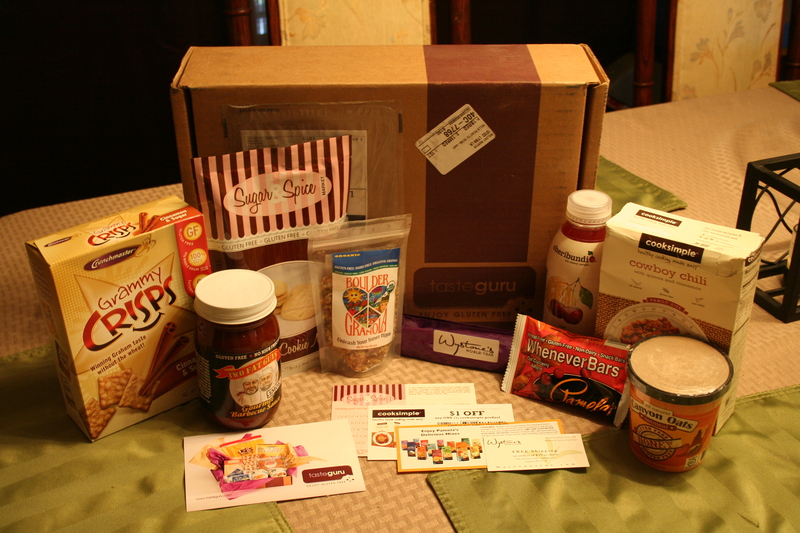 This week I received my first box from TasteGuru and I have to tell you….I am seriously impressed! Since I started eating gluten-free a couple of weeks ago, I’ve been on the lookout for products that fit into my new diet. My box arrived with LOTS of new things for me to try out. And I’m not talking about tiny little samples either. These are full-sized products! Check it out!